Seniors Katie Harris and Alan Tojil were selected as the Rotary Students of the Month for the high school. Both students excel in the classroom as well as in numerous extracurricular activities. Harris is a co-captain the Bulldog cheerleaders and a longtime member of the band. Tojil is a standout lineman on the Bulldogs football team. 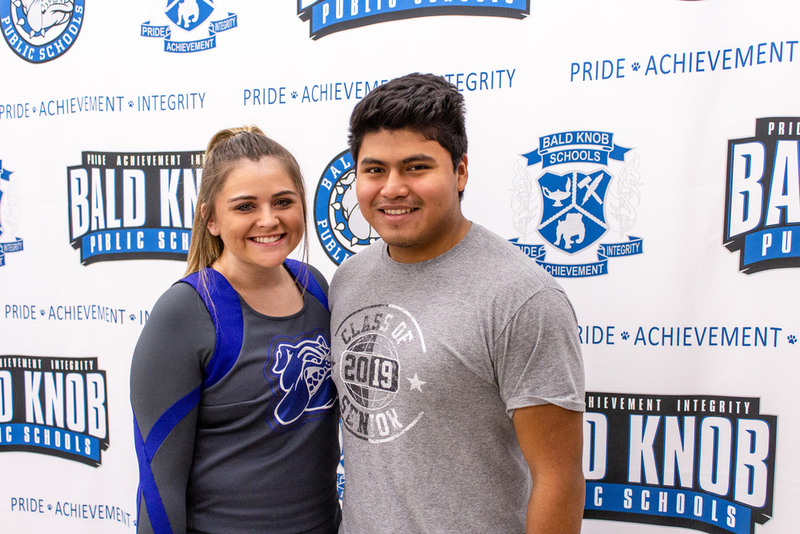 The staff chose Harris and Tojil, who will attend and be recognized at the Bald Knob Rotary Club's monthly luncheon in December, for their academic excellence, high character, and leadership.